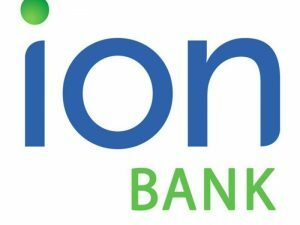 March, 2018 – COCC, a leading provider of next generation technology services for community banks and credit unions, announced that its client, Ion Bank, has chosen to utilize COCC’s next-generation personal financial management (PFM) solution, developed by financial technology leader MX Technologies, to better help their customers take charge of their finances and progress towards their financial goals. The $1.2 billion bank in Naugatuck, CT is thrilled to bring state of the art data analytics and digital money management to their clients. “With leading-edge technology from COCC and MX, top innovators in financial software, this will allow our customers to have a big-picture view of their financial strength,” said John Jahne, Chief Information Officer at Ion Bank. As an independent community bank since 1870, Ion Bank delivers friendly, personalized service to every customer, every day. Ion Bank is committed to helping customers identify and achieve their financial goals. The bank is better able to serve its customers because it answers to customers and its community rather than investors. Ion Bank is proud to do its part to make its community a great place to live and work. For more information, please visit http://www.ionbank.com/. With 1,700+ signed clients, MX enables banks, credit unions, and fintech companies to collect, enrich, present, and act on data, giving users a 5-star digital experience. MX offers data aggregation, data cleansing, next-gen PFM, personalized marketing, and more – all built to drive up user loyalty and increase ROI in the process. For more information, please visit http://www.mx.com/.